This excellent piece of workmanship brought G H Baldwin a top award for large scale renovation in the Southern Region of the Master Builder of the Year Awards. The judges praised G H Baldwin for thier attention to detail. 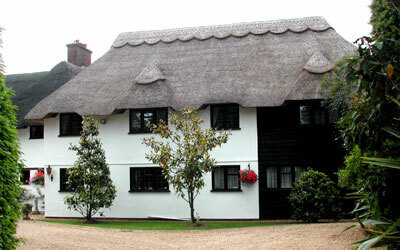 "Workmanship is excellent throughout and the outstanding thatching to the roofs set this build apart"
We have used G H Baldwin builders for various projects over the last 10 years some of which have been substantial. Without exception we have found them to be thoroughly professional and reliable and importantly they have provided continuity in each project. The standard of their work and the attention and thought going into the detail of the work is exceptionally good and the quality of the finished article stands as a testimonial to them. St. John’s Church Boxmoor is a Grade 2 listed building and often requires particular specialism and skills to be used in its maintenance and construction works. Also as an important and busy place of worship in the community, keeping the building functional and open to the public during building work is essential, requiring full flexibility, sensitivity and trust in the contractor on site. G. H. Baldwin Builders have frequently been engaged as the contractor of first preference for numerous projects, both internal and external, which have always been carried out to the highest professional standard, on time and budget with complete customer satisfaction. We are delighted with the work that G H Baldwin Builders have done for the school over the last 5 years and previously in other organisations. Their work is to a high standard and I perceive it as good value for money and they are very helpful and personable to deal with, if they find issues whilst work is in progress they deal with it and resolve problems in an efficient and cost effective manner. 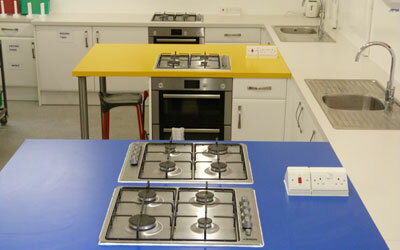 I would have no hesitation in recommending them to any individual, school or organisation. Whilst we do have to get other quotes they would normally be our first choice builders for a myriad of projects from creating a dining room extension, fitting bi-folding doors, refurbishing a Home Economics classroom, creating a reception hatch in a solid wall.